The Ostermann app presents Europe's largest edging range which can be purchased with an attractive 2% online discount. The app offers all the features of the popular Ostermann Online Shop and is also an effective tool in simplifying the ordering process. 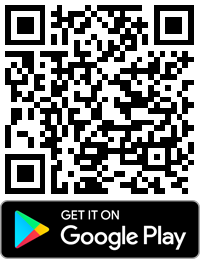 Click here or scan the QR code. It is hard to imagine a tradesman working without mobile devices. Ordering edges, fittings or workshop furniture supplies on the construction site or presenting a variety of edges, furniture handles, technical profiles or, for example, LED lighting ducts from the wide Ostermann range directly to the customer is no problem with the Ostermann app! The joiner can always and everywhere provide the customer with custom solutions and always has access to the Ostermann range. Since the app has the same features as the Ostermann Online Shop, the regular services are also available here. But the app is more than just the mobile version of the Ostermann Online Shop. 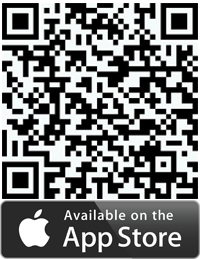 With the help of the app, QR codes can be requested for products that are regularly ordered from Ostermann. This can be done very easily, either via the app and the shop’s shopping list or by making a short call to Ostermann. The QR codes created by Ostermann can then be lodged, i.e. in the office or directly at the appropriate storage location. If any material is needed, all you have to do is to capture the corresponding QR code with the QR reader that is integrated into the app. The item is then in the shopping cart and can be immediately ordered via the app. At the same time, it is of course also possible to send the shopping cart which you have filled, using the app through the Ostermann Online Shop. All shop features can also be found in the Ostermann app.